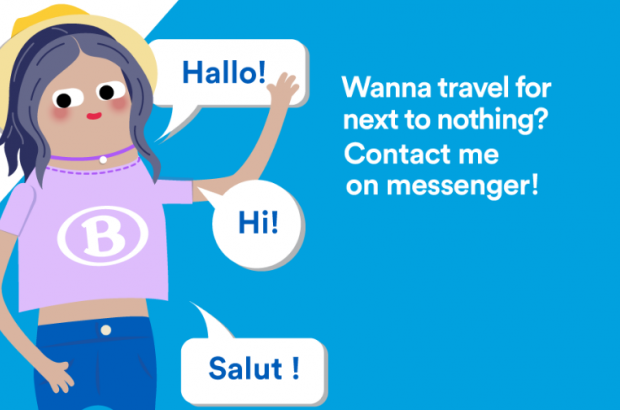 The SNCB has begun an experiment selling tickets via Facebook Messenger. The Belgian rail operator has created a chatbot, called Céline, who makes it possible to buy the Go Unlimited youth rail pass using a smartphone. The ticket provides unlimited rail travel for a week or a month for users under 26. Payment is made via Bancontact and the digital ticket can be shown to the conductor on-screen. Céline speaks French, Dutch and English. "The robot will quickly assist in the purchase of a ticket and can respond to frequently asked questions," an SNCB spokeswoman said. "It's very fast and there are no long online forms to fill in." Since the start of the summer holidays, 1,500 Go Unlimited tickets have been sold on Messenger. If successful, the SNCB hopes to make more tickets available for sale on the messaging platform. At present only 10% of Belgian rail tickets are purchased online.